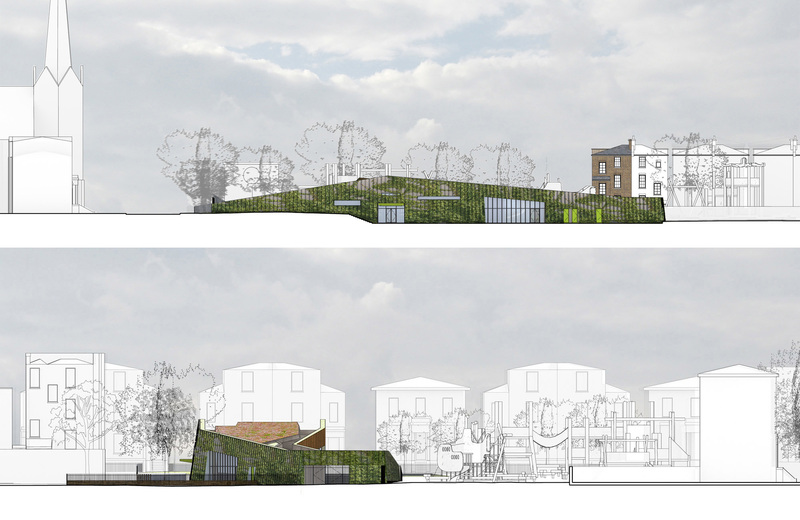 MAX Architects, client and team are delighted to have been granted planning permission for Slade Gardens Community Hub in Stockwell. Planning permission was granted, subject to a Section 106 agreement and conditions, in a swift manner with a unanimous vote by the Lambeth Planning Applications Committee on 19 December 2017 at the Main Hall of the Karibu Education Centre in Brixton. Now the real work begins, first and foremost, in generating funding going forwards. We are optimistic that once some funding is in place we can commence the next stage of work in May. Many thanks to our client (Robin Langton and SGCPA), our team of consultants (Equals, Waterman Group, Churchman Landscape Architects, XCO2) and local community members for all of the hard work and support in reaching this milestone.